The jetpack is the quintessential mode of futuristic transportation – and if all goes well for New Zealand’s Martin Aircraft, you might have the chance to get your hands on one soon. Looking like one of Wile E. Coyote’s wacky gadgets, or a prop from a James Bond movie, the Martin Jetpack is designed to travel at 60mph and it can reach an altitude of 8,000 feet. This week Martin Aircraft performed a series of manned test flights and, if all goes well, they plan to sell their first consumer versions in 2015. 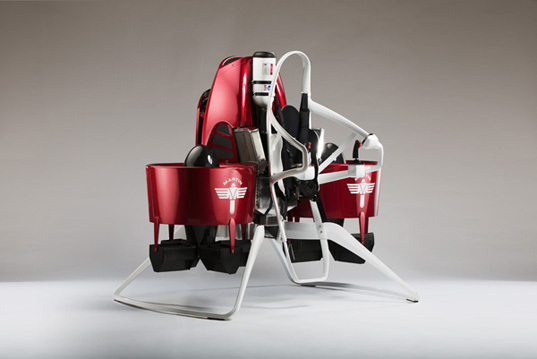 The jetpack is powered by a gas engine and two ducted fans. The thrust lifts it off the ground at 13 feet per second and as high as 8,000 feet – though the test flights are planned to go up to just 20 feet high. The jetpack can cruise for 30 minutes and at a speed of around 60 mph, and is controlled by joysticks. It protects the pilot with the inclusion of a ballistic parachute and a crumple undercarriage, will be able to take off from small spaces and is expected to fly in reasonable weather conditions. 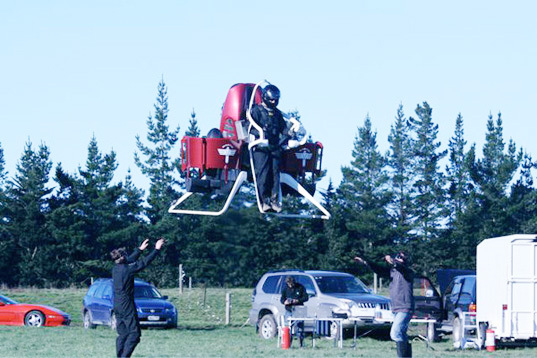 The first working prototype was unveiled in 2008 and, after receiving the experimental flight permit from the New Zealand Aviation Authority, the company will have to make sure the new jetpack works before it can be sold to the public. A pack is something you can walk around with on your back. This is not a jet pack. It's a rocket that a person gets strapped to. The jetpack is the quintessential mode of futuristic transportation - and if all goes well for New Zealand's Martin Aircraft, you might have the chance to get your hands on one soon. Looking like one of Wile E. Coyote’s wacky gadgets, or a prop from a James Bond movie, the Martin Jetpack is designed to travel at 60mph and it can reach an altitude of 8,000 feet. This week Martin Aircraft performed a series of manned test flights and, if all goes well, they plan to sell their first consumer versions in 2015.